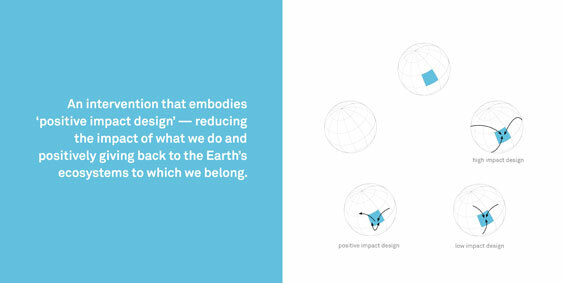 Our rapidly urbanizing world is faced with a very real challenge — supporting a larger population with fewer resources. The UN reports that by 2050, the global population will swell to 9.1 billion — with 6.3 billion people predicted to live in urban areas. 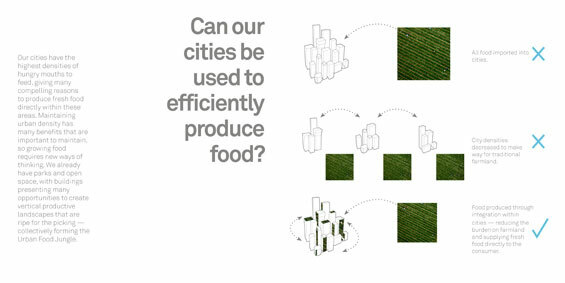 This unprecedented urban growth requires a novel approach to alleviate food scarcity, and a shift in preconceptions about what the urban fabric can offer. The re-imagining of cities as a bastion for urban agriculture has spurred a number of provocative designs. While many of the schemes succeed in bringing food production closer to where it’s consumed, they are still too energy inefficient to serve as viable models. When a city exhausts its buildable land, the natural inclination is to expand vertically. 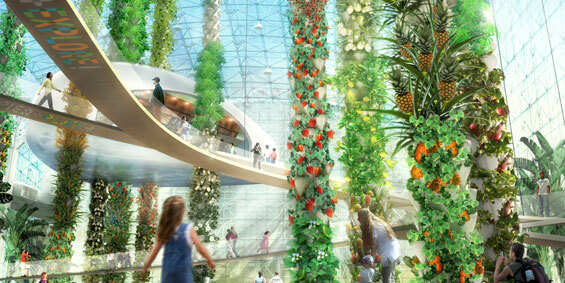 Therefore, it seems only natural that the impulse to include agricultural land within the urban environment would follow suit — hence the popularity of the multistory greenhouse or “vertical farm” as a conceptual design solution. 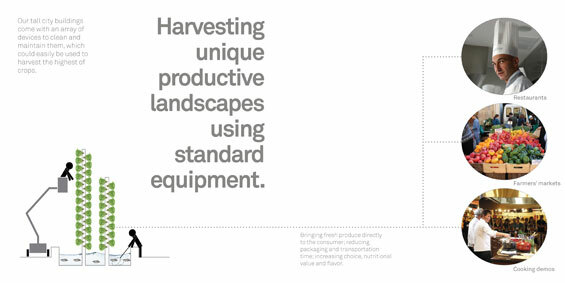 Over the years, vertical farming has come under a great deal of criticism for understandable reasons—while it brings food production closer to where people live, it thrives only when it optimizes natural light. 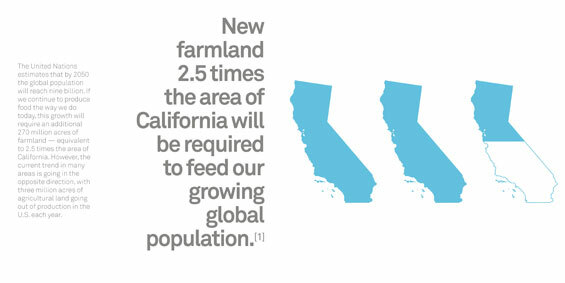 Yet stacking greenhouses on top of each other makes it impossible to provide crops with uniform natural light. The energy required to artificially light these greenhouses is expensive and ultimately cancels out many of the potential benefits of such a project. 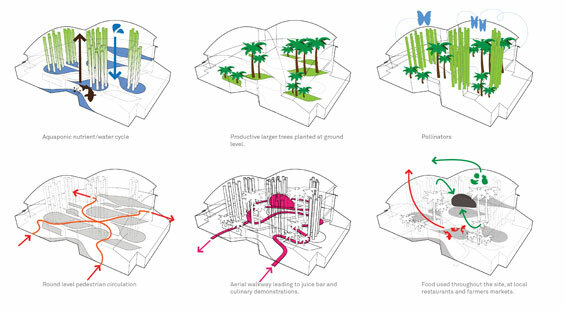 The Urban Food Jungle is a conceptual design that responds to diminishing food security and the inefficiencies of classic urban farming models by interconnecting sustainable food production, entertainment, and culinary delight. 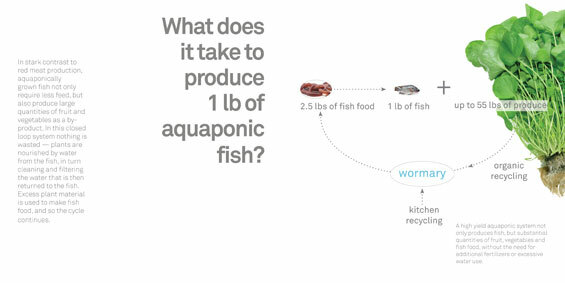 This “aquaponic” system not only grows organic fruit and vegetables, but freshwater fish too — one nourishing the other in a sustainable, high yield system. A series of pools are used to raise the fish, generating nutrient-rich water as a by-product. 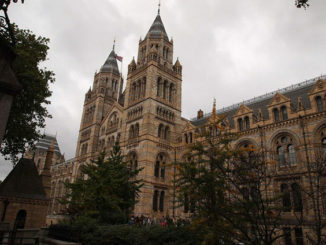 This is circulated to the top of dramatic sculptural columns, fertilizing a variety of plants as they filter and clean the water on its descent back to the ponds, creating a lush edible canopy. This adaptable system has the potential to become a decentralized network of food production, analogous to having your own fuel cell. 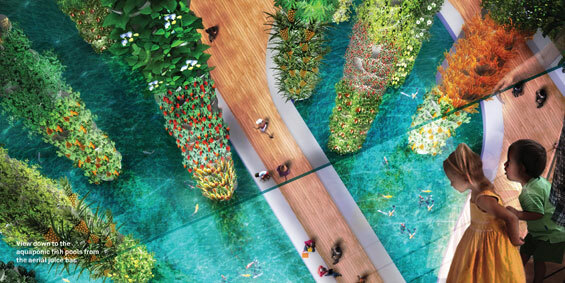 It lends itself to be modified and embedded within the existing urban fabric in a variety of forms, including in double-height lobbies, sky gardens in tall buildings, and outer-skins or green wall on buildings and structures. 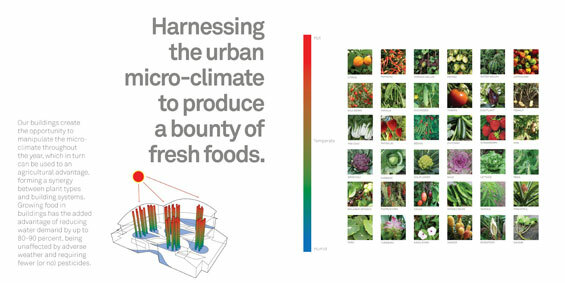 The Urban Food Jungle is a unique solution as it rehabilitates the existing urban fabric in a strategic and sustainable manner whilst maintaining the intrinsic efficiencies of urban density. 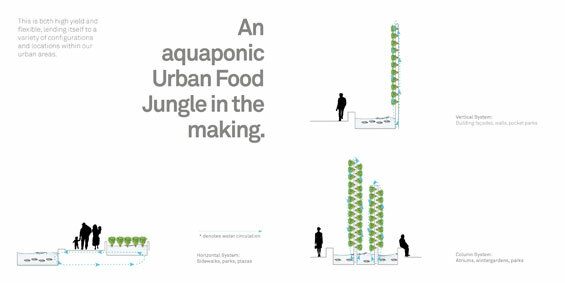 Aside from offering our cities a new take on the pocket park or urban parkland, the Urban Food Jungle provides a model that makes it economically beneficial to use urban space to produce food. By directly linking the Urban Food Jungle to entertainment, restaurants and education, its program becomes deeply embedded in mechanisms that will perpetuate its growth in a variety of social, spatial and economic sectors.